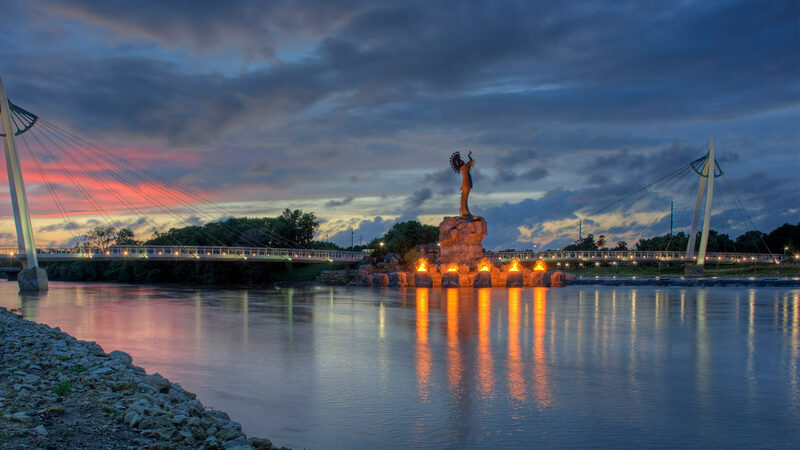 Named an “All-American” city four times, Wichita is Kansas' largest city filled with significant aviation and western heritage, arts and culture, entrepreneurs, festivals, and places to dine, shop, and play. The city is also noted for its breathtaking sunsets, beautiful weather, friendly residents, remarkable affordability, and ease of getting around. Wichita is an eclectic city with some of the greatest arts and entertainment in the Midwest. It is a destination with something for everyone! 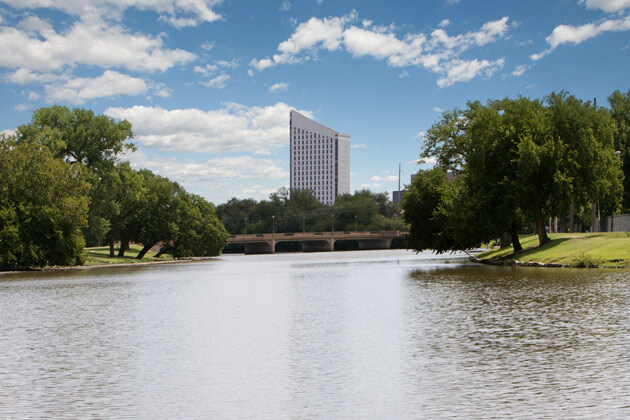 Experience what Wichita is best known for, its western heritage. Enjoy great family entertainment and all-you-can-eat Bar-B-Que at the Diamond W Chuckwagon Supper featuring the Diamond W Wranglers and step back in time and explore America's most authentic "Old West" town at Old Cowtown Museum, an outdoor, living history museum. The city also attracts the talents of famous artists including Pavarotti and Broadway productions. Discover the talents of local and national artists at the Music Theatre of Wichita, Wichita Grand Opera, Wichita Symphony Society, and Crown Uptown Professional Dinner Theater. You can also take in the significant works of public art located throughout the city along with an internationally-renowned collection of American art at the Wichita Art Museum. Wichita is home to one of the country's top zoos, the Sedgwick County Zoo, with 2,500 animals of nearly 500 different species. Wichita's museums are world-class. Encounter hands-on exhibits at Exploration Place, the city's premier science center, or explore the history of the world at the Museum of World Treasures. 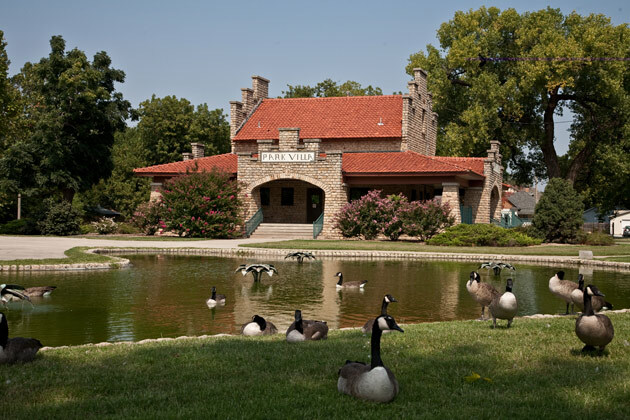 Take a stroll through the fragrant gardens of Botanica, the Wichita Gardens. Delve into the "Air Capital's" rich aviation history at the Kansas Aviation Museum or uncover the wonderful heritage at the Kansas African American Museum and the Mid-American All-Indian Center including the city's symbol, the Keeper of the Plains which represents the city's Indian heritage. For sports lovers, the Kansas Sports Hall of Fame reminisces about the area's great athletes; however, you can experience the action live at Lawrence Dumont Stadium with the Wichita Wingnuts baseball team or the Wichita Thunder hockey team at our world-class downtown entertainment venue, Intrust Arena Join in the fun at All Star Sports, the Wichita Ice Center, or one of the 21 golf courses in the area. The city's nightlife is just as active in Old Town. Old Town is the site for specialty shops, restaurants, and many of our nightclubs. The celebrating continues with the city's cultural arts and heritage festivals throughout the year. The nine-day Wichita River Festival, in May, is the largest special event in the state of Kansas. In the fall, The Tallgrass Film Festival showcases independent films. Our Cinco de Mayo Celebration in May is a fiesta commemorating our Hispanic heritage. Other events include the Wichita Black Arts Festival which is held in September along with one of the nation's largest Native American Pow-Wows. This is just a small taste of everything Wichita has to offer today. Wichita boasts an average one-way commute time of about 18 minutes – 27% shorter than the national average. 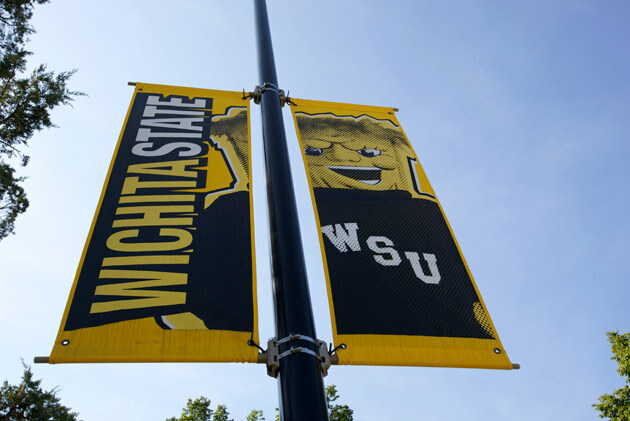 Even with its many amenities, its reasonable overall cost-of-living recently earned Wichita a #6 ranking in Forbes Best-Bang-For-The-Buck Cities in 2009 and a spot in the Brookings Institution's Top 15 Recession-Resistant Cities. Housing is a particular bargain in the Wichita market. The median selling price of existing (previously owned) single-family homes in the Wichita metro area was $125,000 in the First Quarter 2015 survey by the National Association of Realtors, averaging well below the national median price of $205,000. Wichita parents have many high-quality options in deciding the appropriate educational environment for their children. Previously, a U.S. Chamber of Commerce study, ranked the Wichita Public School System 7th best in the nation for academic achievement. Wichita Public Schools have enrollment of nearly 52,000 students in 97 unique learning centers.